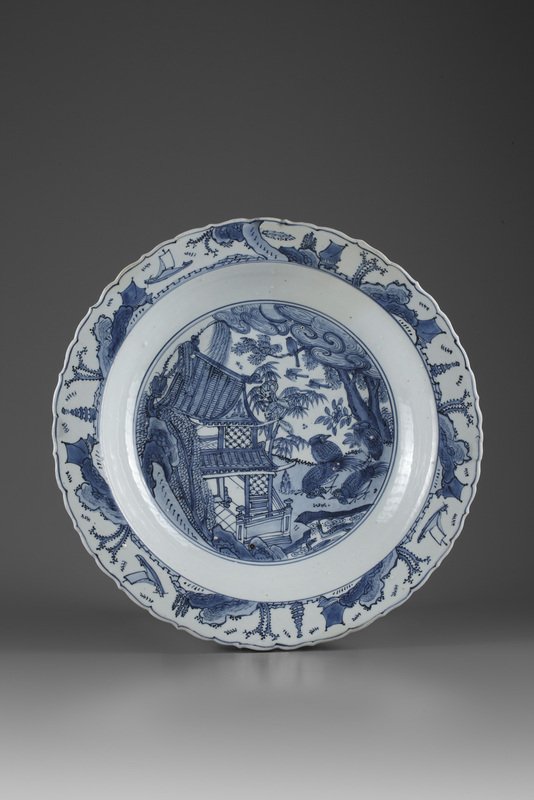 The central design depicts a typical Chinese house, surrounded by rockwork formations and a garden with four birds on the grass under overhanging trees. The scalloped shaped rim is decorated with ships sailing between mountainous landscapes with Chinese pagodas and houses. 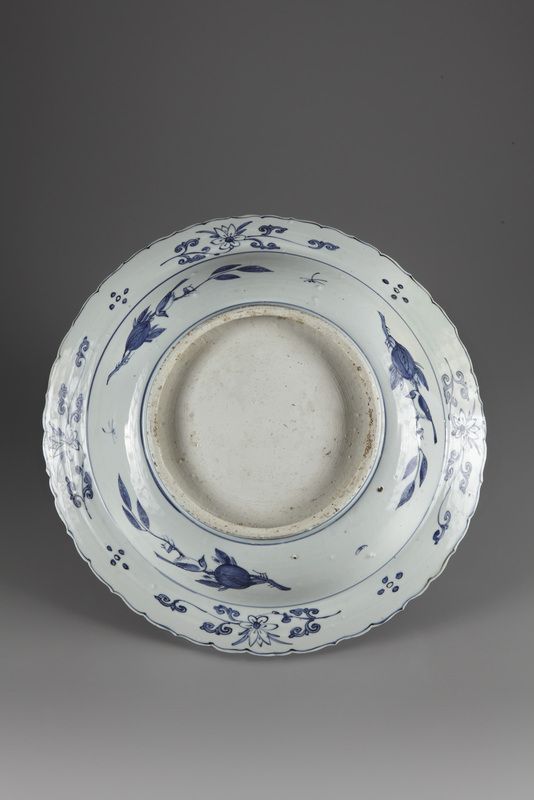 A near identical dish, though dated at the time as Wanli (1563 – 1620), from the Imperial Ottoman Museum, Constantinople (modern-day Istanbul) is depicted in Zimmermann’s early work of 1923 and states that this type of dish was made for the Persian market.